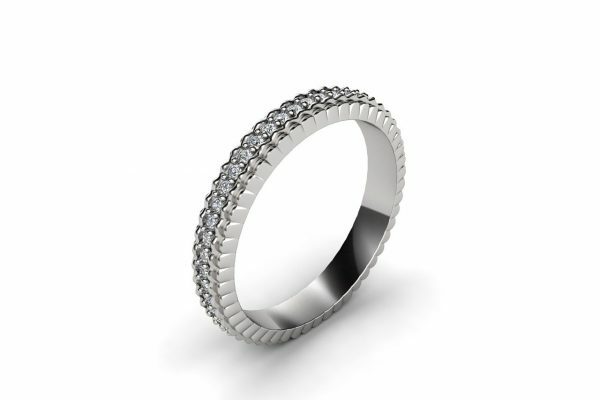 Striking custom-made diamond wedding ring with fine detail. 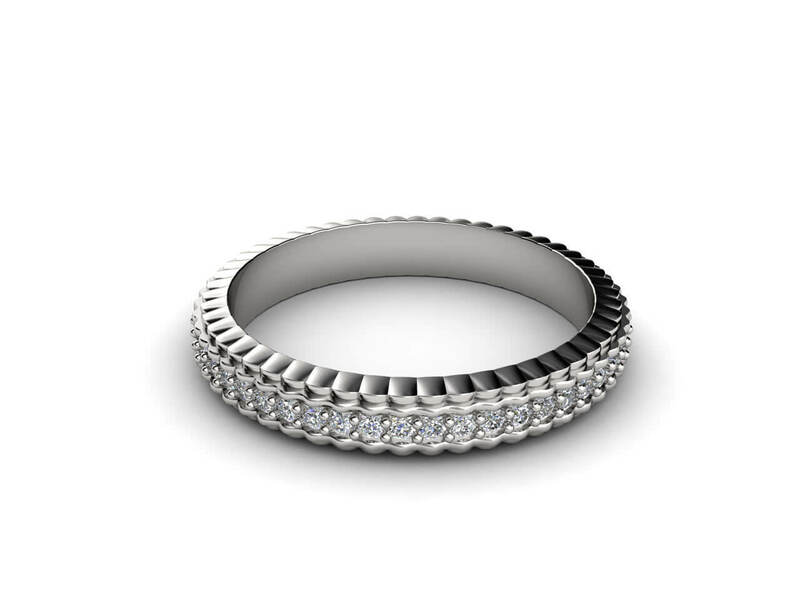 A circle of round white diamonds reflects the light beautifully. 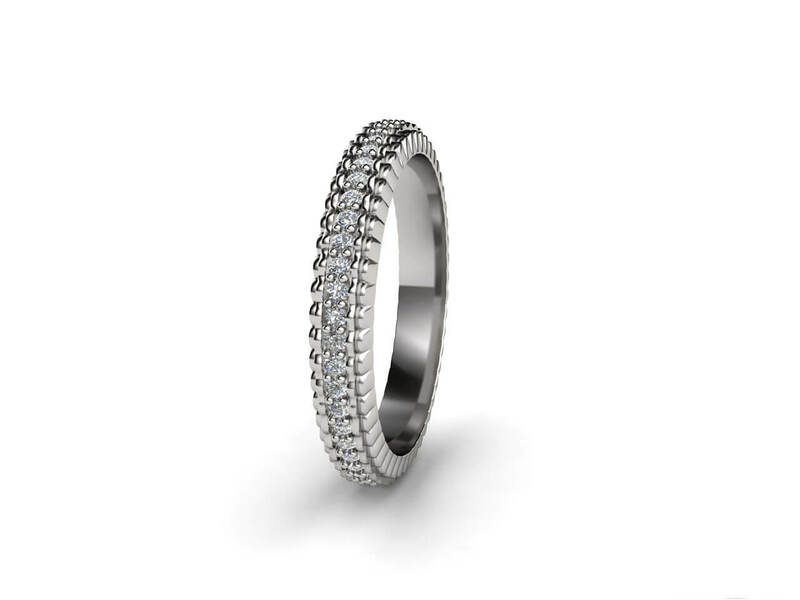 Delicate white gold or platinum frills line the grain set diamonds. 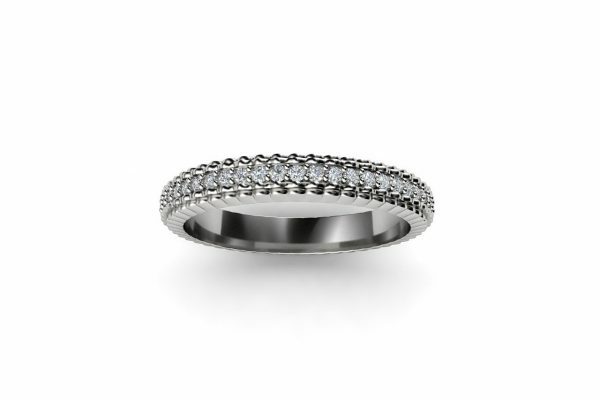 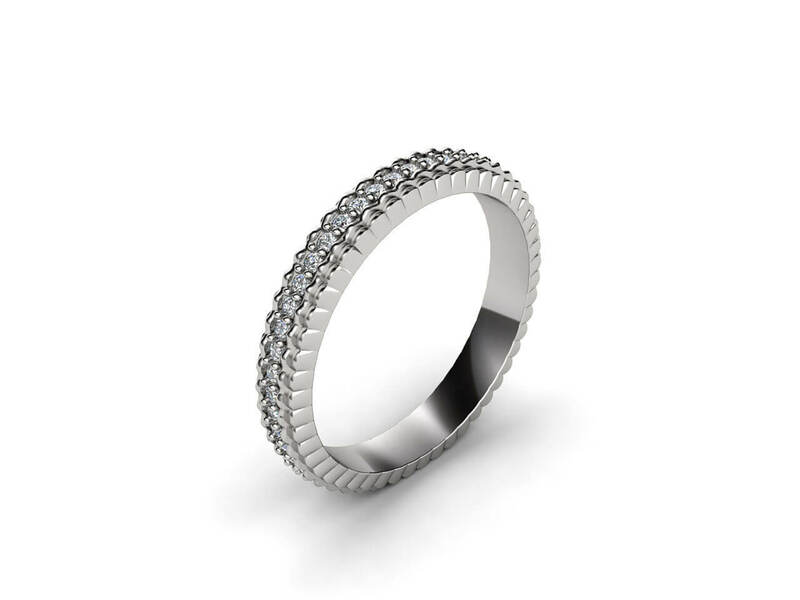 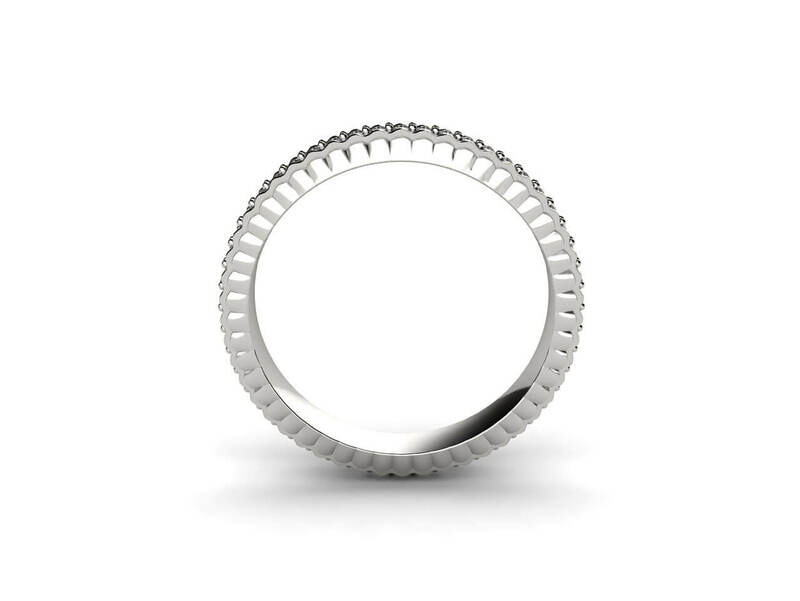 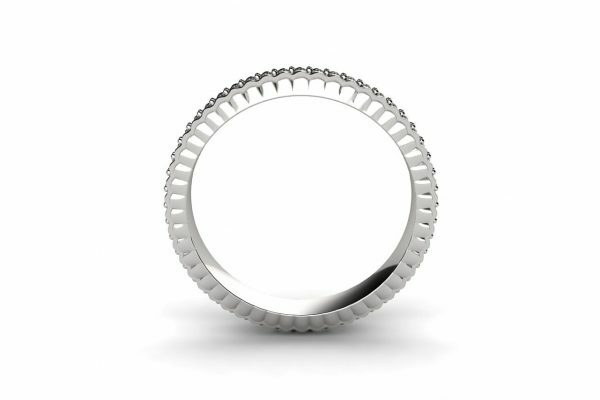 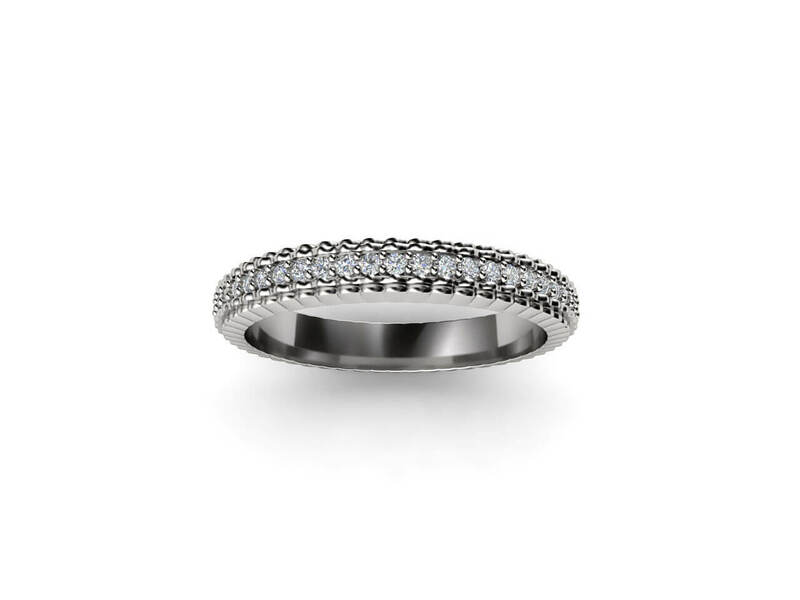 The frilling adds texture and personality to this stunning wedding ring. 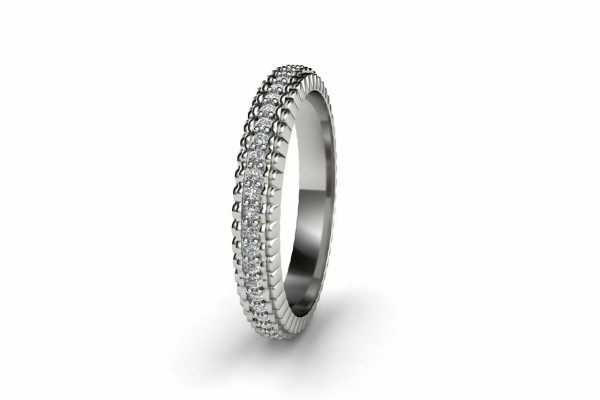 It can be set with diamonds half way or all around.